SKAI, which is located on the 70th floor of Swissôtel The Stamford, takes the brunch experience to a whole new level. The brunch scene in Singapore is no doubt as popular as ever, but admittedly, a bit worn out with the generic and predictable offerings. SKAI aims to redefine this with its weekend ala carte buffet option that is comprised of tempting cold and hot plate dishes, alongside desserts, cocktails, and champagne. 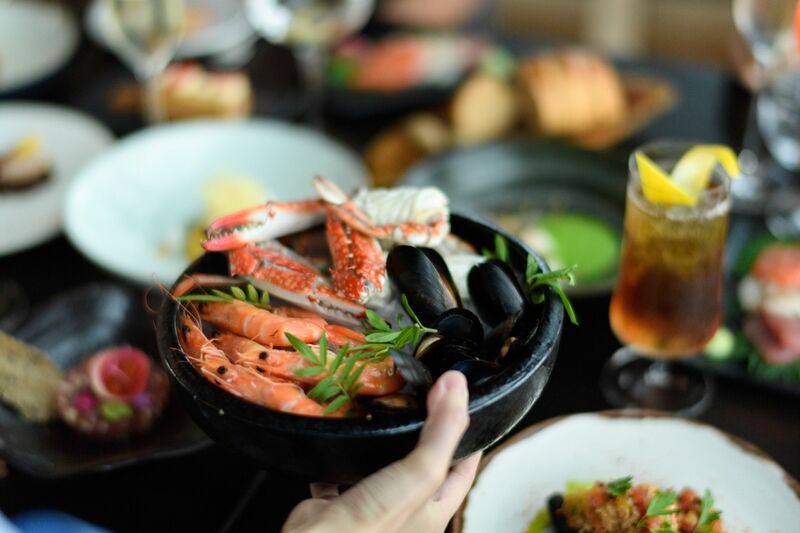 After taking in the bright and beautiful interiors, as well as the stunning view, slowly peruse the menu, which boasts irresistible dishes like fresh Seafood on Ice with sweet crab, prawns, mussels, and clams. Also popular is the Wagyu Beef Tataki with Pickled Eryngii and Ponzu. Once you’ve eased into your meal, move on to the hot plates, which include the savory Waffle with Spiced Lump Crab and Salsa, the Caramelized Pork Belly with Miso and Eggplant, and the signature SKAI Steak with Hand Cut Chips. Elevate your meal further with the inventive range of cocktails available, starting with the zesty and refreshing Brunchin Spritz, which is comprised of Kaffir Lime Aperol, Bergamot Puree, and Prosecco. Meanwhile, the Banana Kingston Slushie, which has Diplomatico Mantuano rum, Campari, Mancino Rosso, and Tempus Fugit Banana Liqueur is perfect for those looking for something stronger, bringing with it a delightful kick that is sure to wake you up. Michelin-starred Chef Alvin Leung goes by many names – a maverick, rebel, X-treme, and most popularly, Demon Chef. 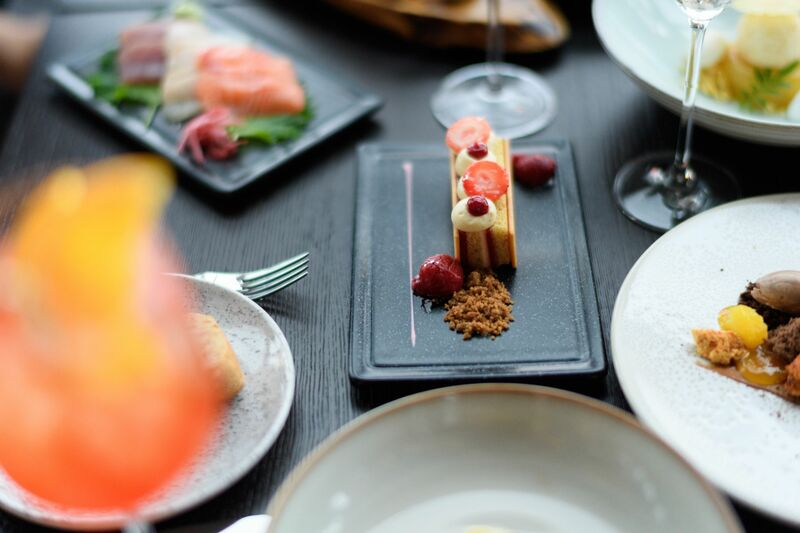 He is definitely a big personality with equally big ideas, which is why his restaurant Bo Innovation in Hong Kong has been so well-received by the most discerning of diners. 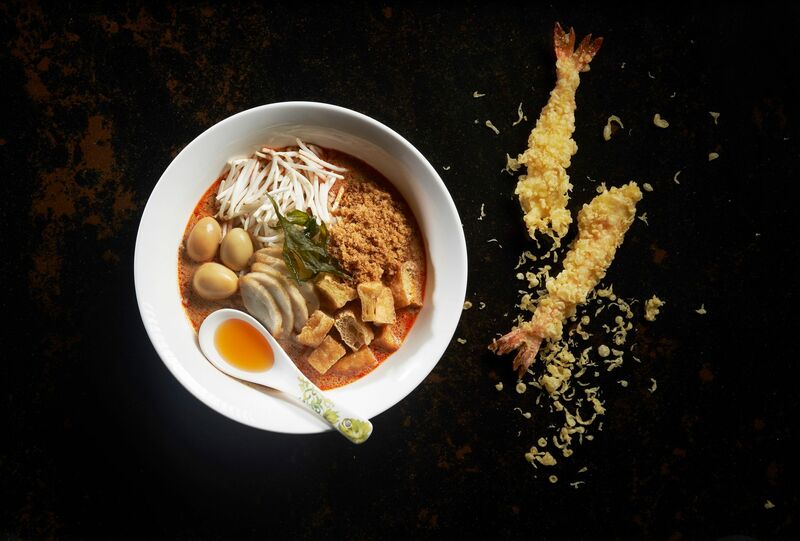 But over at 15 Stamford by Alvin Leung, which is located in the recently opened The Capitol Kempinski Hotel, his madness is slightly toned down, resulting in familiar Asian recipes that are ever so slightly turned on their heads. Aside from the familiar flavors of Singapore and Malaysia, expect to feast on dishes inspired by Korea, Japan, the Philippines, and Thailand. 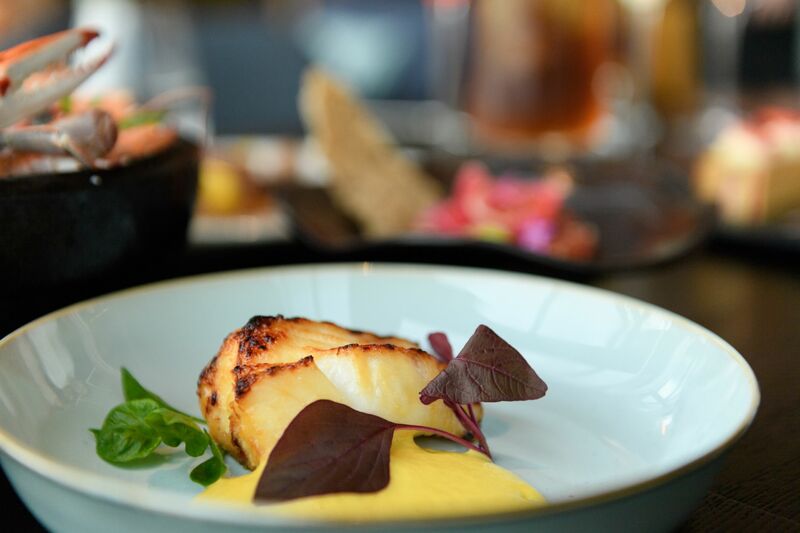 The cross-cultural exchange is best expressed in standout dishes like the Hokkaido Scallop with Adobo Butter and Ginger, where the punchy and garlicky sauce contrasts with the sweetness of the scallop. 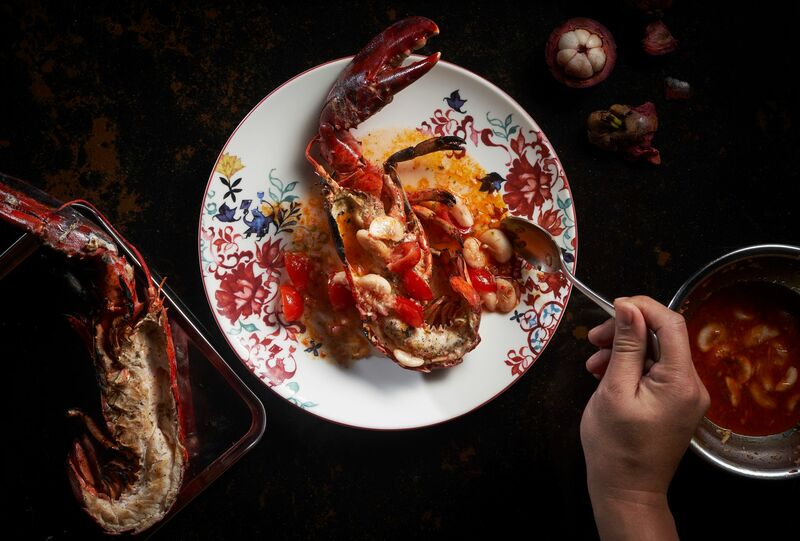 The Boston Lobster with Mangosteen and Spicy Thai Dressing is a crowd pleaser too, with its balance of sweet, tart, and salty flavors. Meanwhile, Chef Leung’s idea of taking Bak Kut Teh out of the pot and onto the grill pays off with the Chargrilled “Bak Kut Teh” Porkchop. 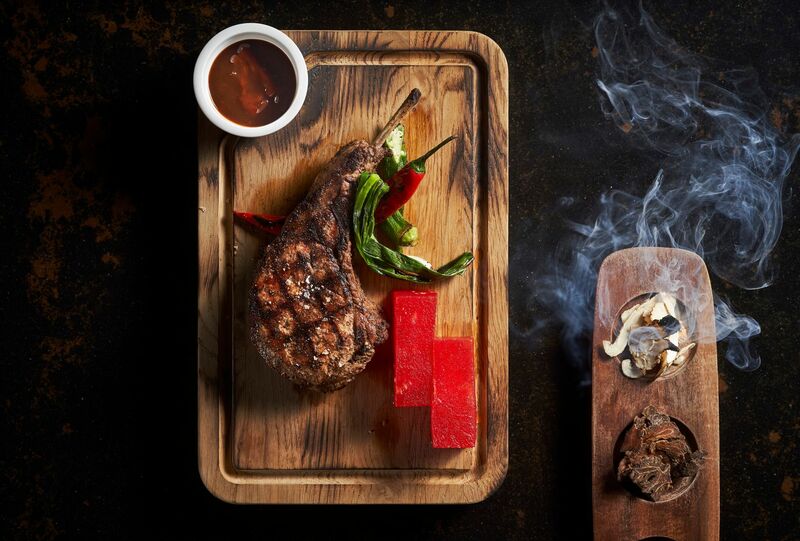 Here, a pork chop is marinated for 12 hours in eight Bak Kut Teh spices, grilled until charred and served with a barbecue sauce infused with the spices. What results is a smoky, tender piece of fatty meat with the signature herbal flavor of the beloved comfort dish. The new Frasers Tower at Telok Ayer is abuzz with its recent opening, bringing with it a slew of both new and familiar F&B concepts for jaded CBD folks. 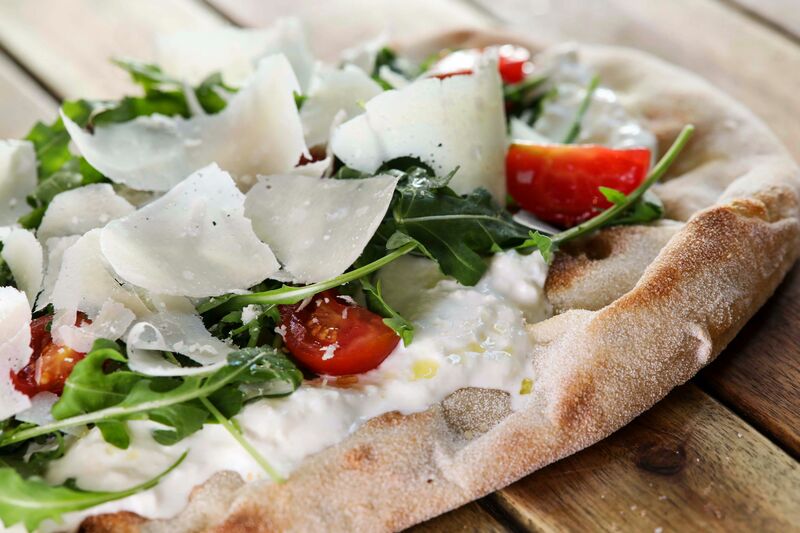 One of the more interesting spots worth visiting is The Mast’ of Mozzarella & Co., which originates from Rome. The multi-concept restaurant is a cheese production laboratory, delicatessen, osteria, and bar, proudly boasting authentic Italian fare and then some. 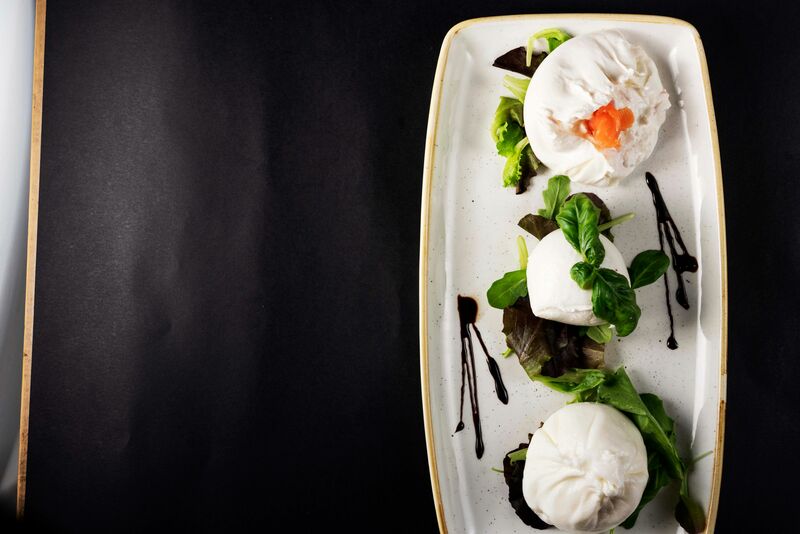 The mozzarella cheese – and all of its iterations – is clearly the star of the show here, so start where it matters: The Tris Di Bufala, where you can enjoy a selection of burrata, mozzarella, and special burrata. 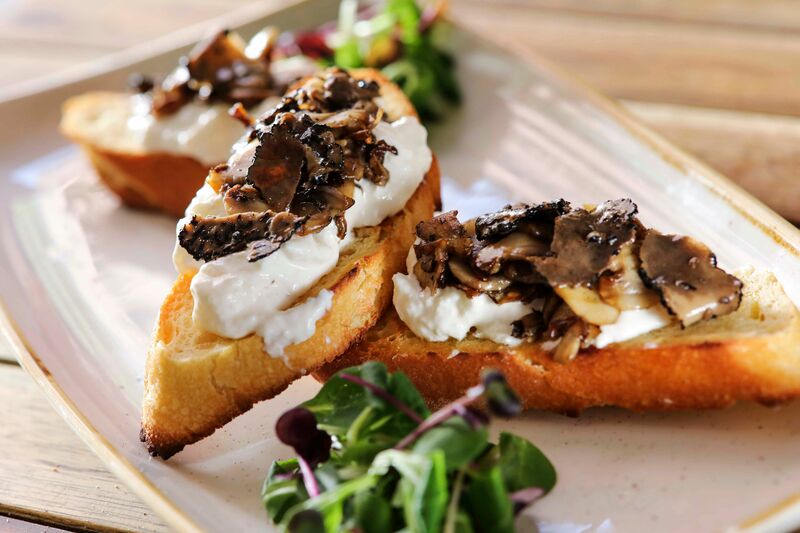 The Crostini is a must, with my personal favorite being Crostini E Funghi, where stracciatella, mushrooms, and truffle are piled high on crusty Altamura artisanal bread. In place of pizza, The Mast’ offers Pinse instead, which is a Roman-style flat bread crowned with an assortment of toppings. The Salmone Scozzese e Zucchine is highly recommended, with the smokiness from the slices of salmon lending itself well to the subtle flavors of the zucchini ribbons and buffalo mozzarella. And what is an Italian meal without a hearty portion of pasta? Try the Bigoli, which is extremely enjoyable with its chewier texture, accompanied by simple and classic ingredients, such as fresh tomato sauce and a smattering of creamy stracciatella.